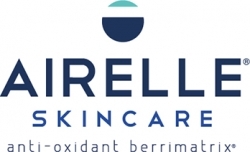 Los Angeles, CA, March 22, 2019 --(PR.com)-- Airelle Skincare, a leading manufacturer and distributor of natural and medical-grade anti-aging skincare products, announced the launch of its new Expert Ambassador Program in order to foster an environment of collaboration amongst medical professionals in the skincare industry. The program is expected to commence April, 2019 in Los Angeles and has already generated significant attention in the dermatology community. The goal is to promote a lifestyle centered around health and high quality skincare through cross-promotional partnerships, educational training and influencer campaigns. For additional information on Airelle Skincare or to learn more about becoming an Expert Ambassador, visit www.airelleskin.com and follow @airelleskin on Facebook, Twitter, and Instagram. Airelle Skin is a leading manufacturer and distributor of natural and medical-grade anti-aging skincare products backed by a proprietary, scientifically proven ingredient. The science and power behind Airelle’s skin care products comes from an ingredient called Berrimatrix®, a proprietary formulation developed by their R&D team that has been widely published in medical journals for its natural anti-aging efficacies. Airelle has been featured in Marie Claire, The Doctors, New Beauty, Dermascope Clinical, Journal of Drugs in Dermatology, Los Angeles Times, inTouch and E! News.